The Claddagh ring is a traditional Irish ring representing love (heart), friendship (hands), and loyalty (crown). Made to order! 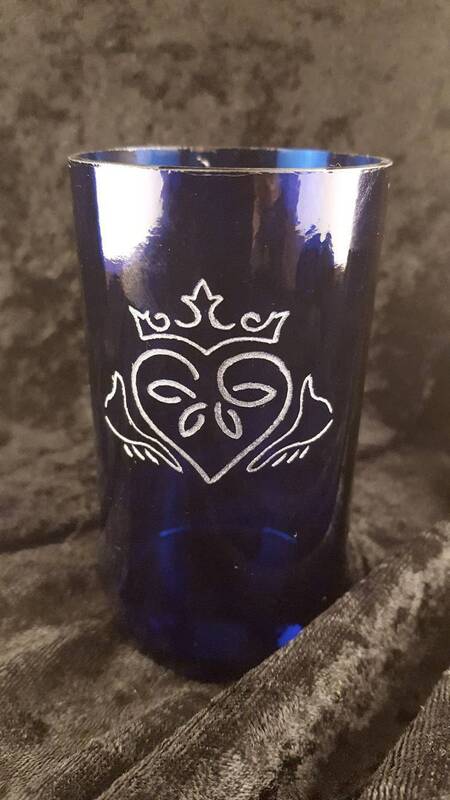 This glass is engraved completely freehand by rotary tool. Pick whatever kind of glass you prefer and I'm on the job! 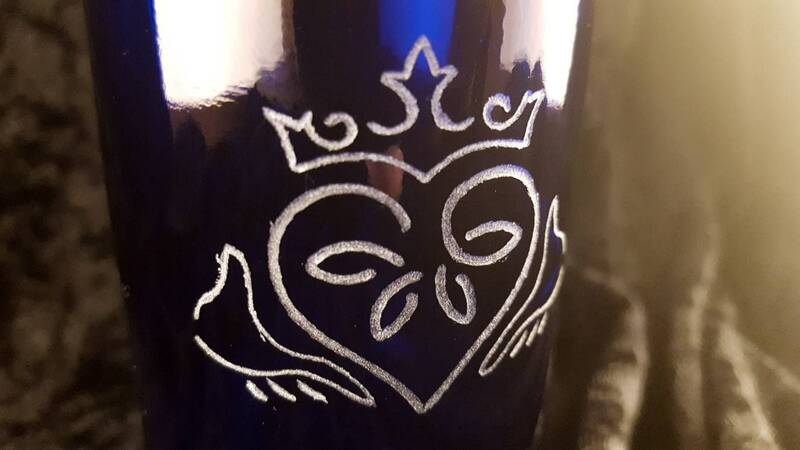 It takes me about 3-5 days to get the design finished and engraved after which I'll be sending you a picture of the glass for approval. Like what you see? Awesome! It'll be on it's way to your door. This glass is engraved. No etching fluid, no sandblasting and no lasers. Just me at my workbench with a pattern and a rotary tool. Due to this multiple glasses will have natural variations. I'm good, but I'm not perfect. <3 It is also totally dishwasher safe. No need to worry about hurting the design. Want some customization? Great! Send me a message and we can get right to work on it! Once you approve the design I make a listing just for you!